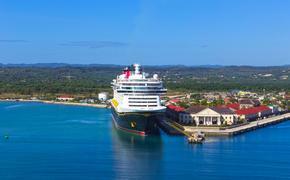 How would you like to take a free cruise every year for life? Bette Shapiro, from Red Bud, Ill., just won that exact prize from Carnival Corp.
Shapiro was chosen randomly from 115,000 people who entered the World’s Leading Cruise Lines Marketing Challenge and voted for their favorite of several Carnival commercials to air during the Super Bowl on Feb. 1. Shapiro’s prize is a yearly cruise for life onboard her choice of three Carnival Corp. brands in North America — Carnival Cruise Line, Holland America Line or Princess Cruises. What’s more, Sherry Laemmle, a real estate agent from Bella Vista, Ark., received 100 days of free cruising as the official winner of its #LoveCruising Twitter contest that asked consumers to tweet about why they love the cruise experience. Laemmle’s tweet read: “@CarnivalPLC no place else we’d rather be as a family! #LoveCruising” and featured a family photo in front of the Carnival Elation, which sails out of the Port of New Orleans. Additionally, Carnival Corp. gave away a free cruise to Richard Vronman from Escondido, Calif., and Carolyn Benson from Cape Coral, Fla., as part of a contest rewarding guests-to-be who used the “Cruise-A-Nality” quiz to help decide what type of cruise is right for them. 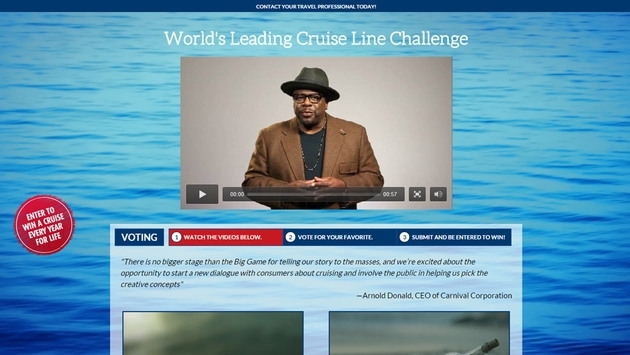 These contests were part of Carnival Corp.’s new marketing initiative that led to its first-ever multi-brand TV commercial, “Come Back to the Sea,” a 60-second spot that aired during the Super Bowl. The initiative targeting new cruisers led to more than 4,000 media placements and 10 billion media impressions,18,000-plus social mentions reaching over 80 million in social audience, and 6.46 million views of the commercials on YouTube and other platforms.